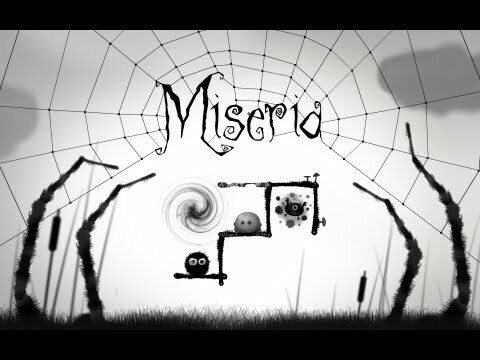 Enter the world of Miseria, where our hero Lurk, the urchin, has been torn from his love and imprisoned by the cold-hearted spider ogre, Grunzel. play through 80 levels of increasingly macabre & merciless mazes while listening to the original soundtrack. Suitable for kids of all ages"Miseria : 세계는 별도로"
우리의 영웅 숨어의 성게는, 그의 사랑에서 찢어진과 차가운 마음 거미 귀신, Grunzel에 의해 투옥 된 Miseria의 세계를 입력합니다. 원래의 사운드 트랙을 들으면서 점점 더 무시 무시한 & 무자비한 미로의 80 레벨을 통해 재생할 수 있습니다.